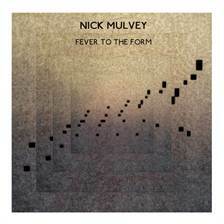 Nick Mulvey will be releasing his debut EP 'Fever To The Form' on 17th June through Communion/Fiction Records. The EP's four tracks were recorded in London and include production from Dan Carey (Bat For Lashes, Lianne La Havas) and Charlie Andrew (Alt-J). Mulvey will play three London headline shows around the release of the 'Fever To The Form'. In addition to his prior confirmed dates, he plays 17th June at The Slaughtered Lamb, 24th June at Sebright Arms, and 2nd July at The Social. Tickets for all three shows, in conjunction with Communion, are on sale here. Following these headline dates, Mulvey will play handful of Summer festivals, including the Latitude Festival on the 19th July. Nick Mulvey was a founding member of Portico Quartet, whose debut album ‘Knee-Deep In The North Sea’ was nominated for the Mercury Music Prize in 2008.